First, an apology of sorts. I first shared the survey results you are about to learn in the embedded presentation below at the RT Booklovers conference in Dallas in May. Despite my best intentions to publish this soon after here on the blog, I'm tardy in bringing you the full results. But here today for your reading pleasure, today I hunkered down, turned off my email and locked myself in a room until it was completed. Whew! Although I'm bringing this to you later than expected, for followers of the blog, I've already been previewing the most important findings here in my regular blog posts since May. At first glance, one might think this data is dated. Yes, it's coming to you nearly six months after it was first released, but I think if you take a look you'll see that it contains some important nuggets that will help you increase the visibility and sales of your books, as well as new findings that might help you either reinforce or evolve your views on certain best practices. For students of the Smashwords Survey who wish to take the time, there's also much to be learned by viewing the results within the larger context of our prior surveys (View our prior surveys here: Smashwords Survey 2014 | Smashwords Survey 2013 | Smashwords Survey 2012 ). It's almost as interesting to observe what hasn't changed as it is to observe the new findings. Several of the new findings are enabled by tools we've released over the last couple years including the Smashwords Series Manager which allows us to look closer at the factors driving series performance, and Smashwords Preorder Distribution which was first announced in 2013 but has now given us a wealth of information we can now mine and share. And looking ahead to the Smashwords 2016 Survey which we'll release in six months, our new enhanced metadata for box sets will allow us to share new insight about box set performance. Here's the Slideshare deck. Please feel free to embed it in your own blog or share it with a friend. You can also view it at Slideshare here, where you find additional links to share it or download it. 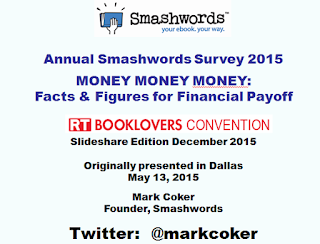 2015 Smashwords Survey - How to Sell More Ebooks from Smashwords, Inc. So let's look at the key findings. 1. Wow, preorders. For the first time we analyzed the percentage of books born as preorders (as opposed to simply uploaded the day of release) and compared the sales of preorder-birthed books to non-preorder books. During the survey period, less than 10 percent of books were born as a preorder, even though this feature has been available to Smashwords authors since mid 2013. Yet despite the low usage, two thirds of our top 200 bestselling titles were born as preorders. That's right folks. That small tiny minority of preorder books accounted for the majority of our bestsellers. On a median basis, ebook born as preorders earned the authors 3 1/2 times more income than books that were simply uploaded the day of release. The average was even more stunning. The survey contains a full page of caveats about these numbers and why I think they're exaggerated so I hope you take the time to read that. The bottom line, however, is that about 90% of indies are failing to take full advantage of this amazing tool. If you don't have your next 12 months of planned releases listed as preorders today, then you're leaving readers and money on the table. I'll go a step further: Preorders are such an essential best practice that it's simply dumb not to take the time to learn how to use them to your advantage. I make it easy to learn because I've written multiple article on preorder best practices. 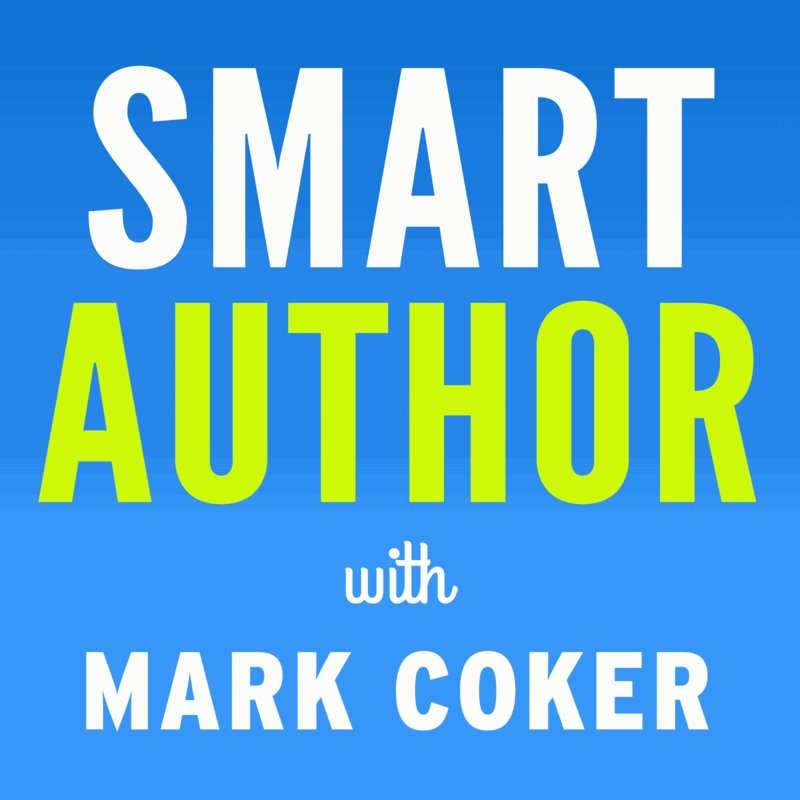 Learn more about our new Assetless Preorder feature here, access the Smashwords preorder page here (includes links to my blog posts on preorders) or check out my NEW article I wrote last month on ebook preorder strategy for Publishers Weekly. 2. Series with free series starters earn more money. 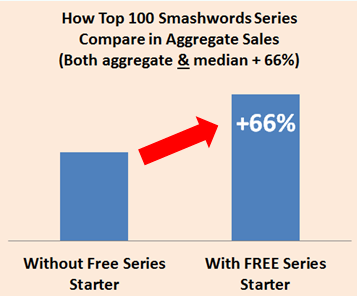 For the first time we analyzed the difference in sales between series with free series and starters and series without free series starters. We looked at our 200 bestselling series with a free series starter and our 200 bestselling series without free series starters. Then we added up the numbers and compared them. First we looked at the average. The free series starter group earned 66% more. Impressive. And then, assuming that maybe a few big sellers were skewing the average, we looked at the median. The median is the midpoint if you arrange the sales results from highest to lowest. Often in big data sets, the median can give you a more typical result. The result? Exactly the same! The median title in the free series starter group earned 66% more. This is the strongest quantifiable evidence that I'm aware of to date that proves what many of our authors already know by personal experience over the last several years. If you write series and you haven't yet experimented with perma-free series starters, then give it a try! 3. Free still works to build readership. For each survey year, we've looked at how free ebook downloads compare to paid downloads using iBooks as our apples to apples comparison each year (bad pun, sorry!). In the 2014 Survey, we found that free books got 39 times more downloads than priced books, down dramatically from 91x in 2013 and 100X in 2012. I expected the power of free to fall further this year, given that this secret - which I've been advocating for nearly eight years - helps authors earn more money. The result for 2014? 41x. The effectiveness of free increased despite the glut of free books. I think a couple things are going on here. First, I think more and more readers are using free as their primary discovery path to try new, unknown-to-them authors, especially with free series starters. Second, iBooks, more than any other retailer, provides amazing merchandising support for free books and free series starters. Third, it's a multi-step path to build a loyal readership of superfans who will buy everything you write. Superfans are your evangelists. They trust everything you write to be super-awesome. You earn them one by one, word by word. If you reverse engineer the trust building process, it starts with discovery which leads to a reader trying you for the first time, and then your book must earn the reader's continued attention from word one forward. A free book allows a reader to try you risk free, and if you're offering them a great full length book, that's a lot of hours the reader has spent with your words in which you're earning and deserving their continued readership. Free works! 4. Longer books sell better than shorter books. This finding is consistent with each of the prior year's surveys, though as I mention in the presentation, this year's finding comes with a lot more caveats. In a nutshell, I suspect the rise of multi-author box sets, often at deep discount prices, is probably throwing off the data this year, and as I discuss in the presentation, some of the dynamics will cause it to understate impact of longer books and some will cause it to overstate it. 7. Avoid $1.99. For the fourth year in a row, $1.99 was a black hole in terms of overall earnings. On a unit sales basis, although $1.99 books outperformed all books priced $5.00 and above, it dramatically underperformed on overall earnings, earning 73% less than the average of all other price points. If you write full length fiction and you have books priced at $1.99, trying increasing the price to $2.99 or $3.99, and if your book performs as the aggregate does, you'll probably sell more units. Or if it's short and $2.99+ is too high, try 99 cents instead because the data suggests you'll earn more and reach about 65% more readers. I'm not entirely certain why this is the case. It's not because our retailers pay lower levels for sub-$2.99 books. They don't. Our retailers pay the same for $1.99 as they do for $9.99. There's something about the price point that readers don't like. Who knows, maybe readers see 99 cents as an enticing promotional price, $2.99 and up as a fair price, and $1.99 as the price for lesser quality books that couldn't make the $2.99 grade. Your theory is as good as mine. 8. Bestselling authors and social media. Bestselling authors are more likely to have a presence on Facebook and Twitter, and more likely to have a blog. Not a huge surprise, though it's worth noting there are plenty of successful authors who have minimal presence on social media. The data above is aggregated across multiple Smashwords retailers, library partners and the Smashwords Store. I'm not aware of any other survey that is based on such a large volume of real, verified sales. For this reason alone, some of this data has a potential weight and statistical significance that is much more useful than the anecdotal data learned from one's own personal experience, from friends and from Internet heresay. But as such, the is not without its flaws and limitations, and it does not invalidate your personal experiences because every author and every book is different. Smashwords offers a massive catalog approaching 400,000 books, and most of these titles are over one year old. Most books get the lion's share of their sales in the first few months (one reason Amazon KDP is a three month cycle). In this Survey, we don't different titles by age (but maybe we should in future surveys!). Correlation does not necessarily equal causation. Just because we see patterns in the data doesn't mean that one thing caused the other. As is the truth in all life, there are typically dozens or hundreds of factors that can conspire to create certain results, and it's nearly impossible to capture these factors in data alone. For example, longer books often sell better than shorter books. That doesn't mean that it's impossible for your short novella to hit the New York Times bestseller list, nor would such a wonderful occurrence invalidate the usefulness of our data. This was our first Survey year where subscription ebook services became a factor in the market. Between Scribd, Oyster and Kindle Unlimited, subscribers to these services aren't necessarily exposed to the price of the book, which means retail price isn't a decision factor, and we don't separate out subscription sales from our data set. It means some of the pricing data is potentially skewed. 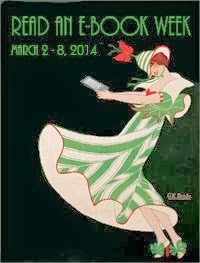 Although we include some sales data from Amazon, it's only for a small subset of our catalog, and none of these titles were enrolled in KDP Select or Kindle Unlimited. Therefore, although most of our findings will be useful to Amazon authors, it would be most accurate to think of these findings as more relevant to the non-Amazon retailers. We're looking at a snapshot of data over a 12 month period, and I'm bringing it to you six months later. The implications of this are discussed above. So that's it! I hope you enjoy the Survey. I'll release the 2016 Smashwords Survey at RT Booklovers in Las Vegas in April, and next year I'll try to get the Survey out quicker for all to see. If you're not yet publishing with Smashwords, check out this How to Publish and Distribute with Smashwords page. We look forward to working with you. "two thirds of our top 200 bestselling titles were born as preorders"
Were these from authors who were already selling well? Because that's what I'd imagine. If they were from new authors, then that would be news. Mark, it's a mix. We've seen prior bestsellers sell more with preorders, but we've also seen many of our authors top the charts for the first time with the assistance of preorders. There are multiple benefits of preorders such as enabling more effective advance marketing and higher sales rank on the day of release at iBooks/Kobo (see the links above to some of my articles for more) that conspire together to help books born as preorder books sell better. We're seeing a lot of our more disciplined bestsellers listing assetless preorders nine to 12 months in advance, even before they've started writing the book. For disciplined authors who can plan ahead and meet their deadlines, assetless preorders are a godsend. Any data on series length i.e. the number of books within a series) and how that pertains to overall sales? What is the median sales of a priced books in a series with a Free series starter? Now, what would be interesting is to learn,how things are going with non-English books. But I suppose, there are not enough being sold through Smashwords, as you still don't allow local prizing, so that it's jsut more convenient to use local distributors. Thanks as always, Mark! I particularly think it's interesting that $1.99 is not a good book price. Thanks a lot for this report, Mark. Very interesting. I have a question about your statement "Bestselling authors are more likely to have a presence on Facebook and Twitter, and more likely to have a blog.". Is that more likely than non-bestselling authors? Or does that mean that from all of the bestselling authors in your sample, most of them have a FB and Twitter presence. Because if it is the latter, I suspect that that is also the case for non-bestselling authors. In other words, if you randomly pick a number of authors (bestselling or not), I'm fairly sure that most of them will have social media presence. My question is: how many of the authors understand how to use their books as the BEGINNING of their revenue streams and not the end of them? I make more than 90% of my money from products and services I sell after my book. I'd like to see data on how many "free" downloads actually made money. Saying Free was 41x more than priced just says people don't want to pay for anything, a long established bad habit on the net. I want to know how many people who give their books away ever make money. I've had my kids books on Smashwords for several years now, both free and priced and to date my only sales are from printed books. That may also just be that readers like kids books in print. I attempted to clarify slide 17, which is incomplete, by submitting a comment via a Facebook link offered by the slide show. It turns out that Facebook is not accepted any longer. Can someone tell me what slide 17 is supposed to be saying? J, if you click to the Slideshare page at http://www.slideshare.net/Smashwords/2015-smashwords-survey-how-to-sell-more-ebooks you'll see a button where you can download the full presentation. That will help you view the few words that get obfuscated or truncated by the web version of the Slideshare presentation on some of the slides. And in answer to your question, the full paragraph reads, "Some findings are useful, some not. Some of the data provides hints to the most important best practices."